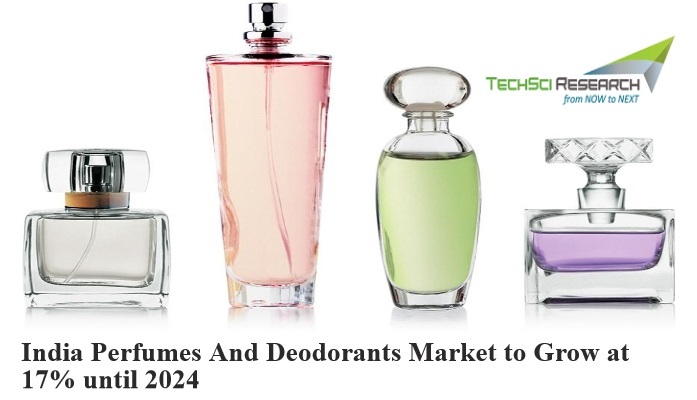 According to TechSci Research report, “India Perfumes & Deodorants Market By Type, By Price Segment, By Sales Channel, Competition, Forecast & Opportunities, 2013-2024”, India perfumes and deodorants market is anticipated to register a CAGR of 17% during 2018 – 2024. Perfumes and deodorants are primarily designed to mask the body odor caused by bacterial perspiration. The growth in the market is led by evolving retail scenario, rising number of new product launches, and growing demand for herbal perfumes and deodorants , India Perfumes Market and , India Deodorants Market . Rising focus on innovative marketing campaigns along with increasing number of retail outlets across Tier-II and Tier-III cities are contributing towards the growth of India perfumes and deodorants market, India Perfumes Market and , India Deodorants Market . Additionally, rising personal disposable income and growing urban population and working women population is further positively influencing perfumes and deodorants market in the country. 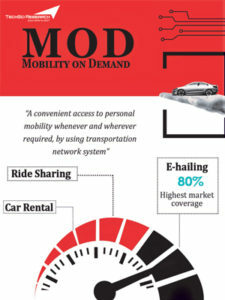 Booming online retail is yet another factor that is boosting sales of perfumes and deodorants in India. Further, emergence of brands such as Nykaa, Purplle, New U and Parcos along with expanding internet user base is positively influencing the country’s personal care industry. South and West regions of India are the leading demand generators of perfumes and deodorants owing to large urban population in these regions. Moreover, cities like Mumbai, Pune, Ahmedabad, Tamil Nadu and Hyderabad are the some of the largest markets in India due to their large urban population. “India perfumes and deodorants market is growing at a robust pace on account of rising number of product innovation and booming e-commerce and retail industry. Moreover, leading players are constantly focusing on introducing perfumes and deodorants to address diverse customer needs. For instance, companies are launching roll-ons and pocket perfumes that are easy to carry along with different variants of perfumes and deodorants, which include herbal perfumes, no gas deodorants, etc. Such developments along with introduction of safe and skin friendly products are anticipated to steer growth in the market over the next five years.” said Mr. Karan Chechi, Research Director with TechSci Research, a research based global management consulting firm. “India Perfumes & Deodorants Market By Type, By Price Segment, By Sales Channel, Competition, Forecast & Opportunities, 2013-2024” has evaluated the future growth potential of India market and provides statistics and information on market structure, size, share and future growth. The report is intended to provide cutting-edge market intelligence and help decision makers take sound investment decision. India Perfumes Market and , India Deodorants Market , Besides, the report also identifies and analyzes the emerging trends along with essential drivers, challenges and opportunities present in India perfumes and deodorants market.